(by David Weigel, The Washington Post) – Robert Creamer, husband of Rep. Jan Schakowsky, D-Ill., and Scott Foval — two little-known but influential Democratic political operatives — [are no longer in] their jobs after video investigations by James O’Keefe’s Project Veritas Action [released this week revealed voter fraud]. Foval was laid off on Monday by Americans United for Change, where he had been national field director. Creamer announced Tuesday night that he was “stepping back” from the work he was doing for the unified Democratic campaign for Hillary Clinton. The moves came after…O’Keefe’s video series “Rigging the Election” [was run on conservative websites and social media but completely ignored by the mainstream media]. In them, Foval is filmed telling hidden-camera toting journalists about how they’ve disrupted Republican events; Foval also goes on at length about how an organization might cover up in-person voter fraud. In another Tuesday night statement, the Creamer-founded Democracy Partners, which used Foval as a contractor, denounced both Project Veritas and the statements caught on camera. “Our firm has recently been the victim of a well-funded, systematic spy operation that is the modern day equivalent of the Watergate burglars,” said the firm. “The plot involved the use of trained operatives using false identifications, disguises and elaborate false covers to infiltrate our firm and others, in order to steal campaign plans, and goad unsuspecting individuals into making careless statements on hidden cameras. 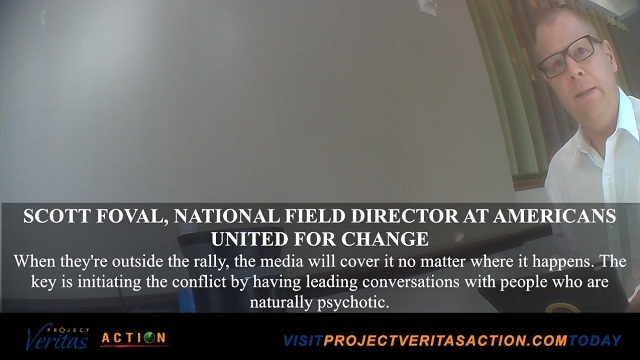 One of those individuals was a temporary regional subcontractor who was goaded into statements that do not reflect our values.” …..
[The media has questioned some of Project Veritas’ previous undercover investigations.] The result…was that the “Rigging the Election” videos got a skeptical reception [and were completely ignored by the media, despite trending on YouTube] — at first. But the video of Foval, a Wisconsin-based politico with a long resume, had him bragging about a litany [long list] of political dirty tricks [unethical or illegal campaign practices or pranks intended to disrupt or sabotage the campaigns of opposing candidates]. In the first video, he boasts of “conflict engagement in the lines of Trump rallies,” takes credit for the violence that canceled a Trump rally at the University of Illinois in Chicago, admits he’s paid “mentally ill” people to start trouble, and says there’s a “Pony Express” that keeps Democratic operatives in touch, regardless of whether they work for super PACs or the campaigns not permitted to coordinate with super PACs. In the second video, Foval spends five minutes discussing how voters might be brought from outside Wisconsin to commit voter fraud, buying cars with Wisconsin plates to avoid looking suspicious. “We’ve been bussing people in to deal with you (expletive) for fifty years and we’re not going to stop now,” he says. 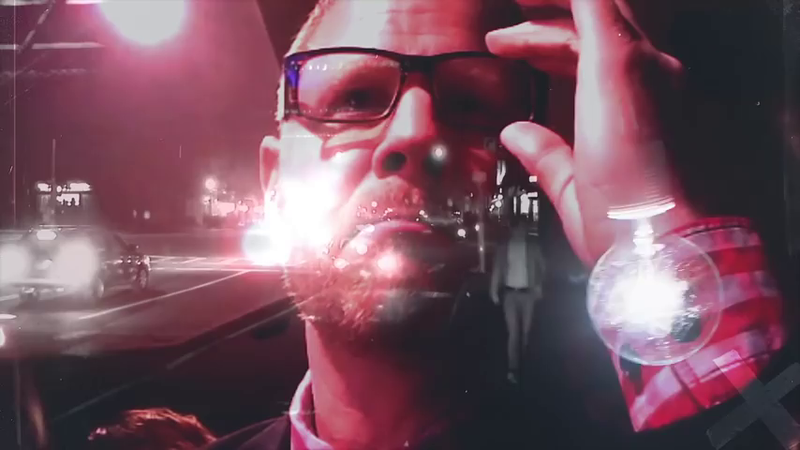 Since the video’s release, Foval has responded to media requests by saying the video did not deserve attention from “legitimate news organizations.” A call to Creamer on Tuesday night went to voicemail. But while neither man is defending the content of the videos, the editing raises questions about what was said and what may come out later. “It’s a word we had not heard until we began this investigation,” O’Keefe says, noting that the term appears in WikiLeaks e-mails that include Clinton staffers. But [according to the reporter who wrote this article] it’s not a new term, and certainly not secret. Bird-dogging is a fairly common activist tactic, and reporters often recognize it when seemingly “perfect” questions come from a political audience. In August 2015, Foval told the Milwaukee Journal-Sentinel that [left-wing activist group] People for the American Way, his employer at the time, was “bird-dogging all of” the Republican presidential candidates. What was seen as a nuisance political tactic then becomes, in the video sting, a secretive form of voter/candidate intimidation. In the voter fraud video, Foval looks — somehow — even worse, describing how voters could be sent to midwestern states to cast fraudulent ballots. … Foval says that “Bob Creamer comes up with a lot of these ideas,” but what the “ideas” are is lost to a quick edit. After a quick introduction of Creamer that covers his 2005 conviction for tax evasion, Creamer is seen talking to a journalist posing as a possible donor, rambling a bit as he describes how to get voter IDs to people who need them. Creamer quickly begins jotting down names of voter registration groups: “There are a couple of different organizations, that’s their big trick.” But while the implication is that the journalist is pitching mass voter fraud, he never says as much, and Creamer never agrees to it. In another tape, filmed at a restaurant, Creamer hears another version of the pitch and says “my fear is that someone would decide that this is a big voter fraud scheme.” …..
…Foval’s sacking and Creamer’s “stepping back” have already given the Trump campaign the confidence to run with these stories. On Tuesday night’s episode of “Hannity” on Fox News, two campaign representatives said that the PVAction tapes validated everything Trump had said about the possible threat of election theft, and called for a hasty FBI investigation into anyone connected to Robert Creamer. Creamer is the husband of Rep. Jan Schakowsky, D-Ill. In 2006, he was sentenced to five months in federal prison for bank fraud and a tax violation. Creamer was convicted in a check-kiting scheme to keep afloat an Illinois consumer group he had led. A federal prosecutor [charged that] Creamer stole money from banks in the form of unintended, interest-free loans. “The FBI should be opening an investigation into these people right now,” said Trump ally and former Speaker of the House Newt Gingrich. David Weigel is a national political correspondent covering the 2016 election and ideological movements. Reprinted here for educational purposes only. May not be reproduced on other websites without permission from WashingtonPost .com.